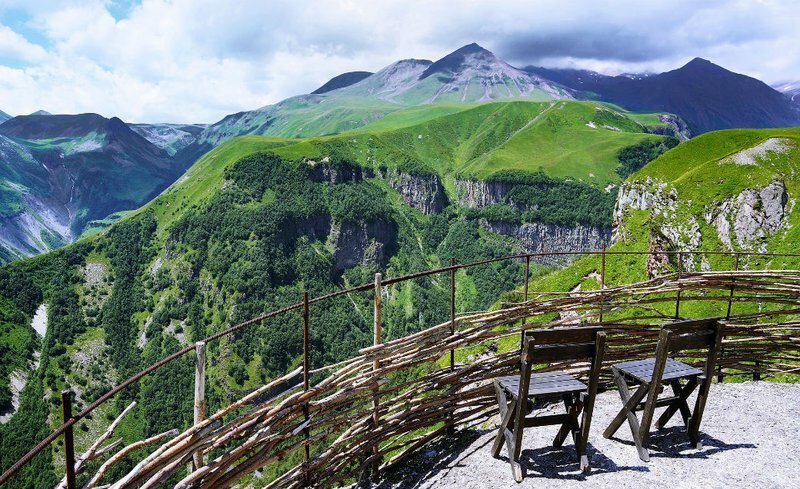 Explore the rich natural heritage of the Caucasus, where Europe and Asia meet! Once a year, we offer a trip to a destination that abounds in unusual flora. You will explore dramatic terrain, experience the nature and culture of the country, and meet other travelers who share your interests. Places are still available for our next trip, a journey to the heart of the Caucasus Mountains, in Armenia and Georgia. We begin in Armenia, exploring Lake Sevan (elevation 6,234 feet), the largest body of water in the Caucasus region; and Khor Virap Monastery, which sits at the foot of Mount Ararat (elevation 16,854 ft.), the country's sacred volcanic mountain. Then we go on to Georgia, where we visit the National Botanic Garden; Mtskheta, the ancient capital; and Jvari Monastery. Our trip takes in many local attractions along the way, including museums, a convent, villages, a national park, and the subtropical Batumi Botanical Garden on the Black Sea. We will travel to Armenia and Georgia with Betchart Expeditions, Inc. Click the button to view the trip description and download a brochure with a complete itinerary. Sign up for our Education newsletter to get updates on this trip and other great Society programs. When it isn't snowing (and sometimes even then) we're out working to save New England's rare plants. Please support our work.